This LP has 49 parts. 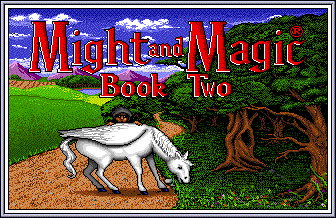 Welcome to the Might & Magic II Let's Play! 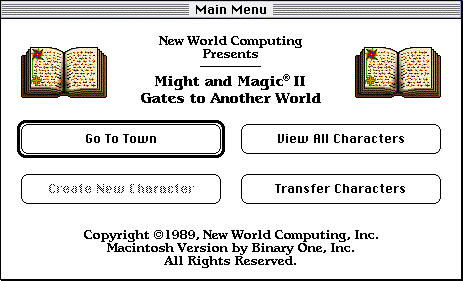 It's not necessary to have read my Might & Magic I thread in order to enjoy this, although it'll probably help. 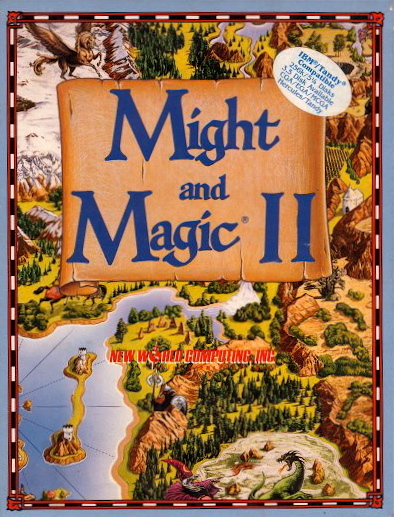 Might & Magic II: Gates to Another World is a classic computer RPG made by New World Computing, first released in 1988 and most notable for a huge, detailed world with 60 explorable areas. 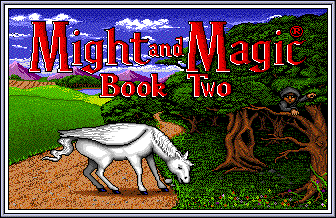 The plot... well, it has more of a plot than Might & Magic I, but that's not saying much. I don't want to transcribe four full pages of backstory from the game's manual and you don't want to read it, so just trust me when I say that you'll pick up what you need to know as we go along. Right now, all you need to know is that it's set in the world of Cron in the year 900. Discovering the nature of the world the party's in is half the fun of the game, so telling you everything now would be a spoiler anyway. 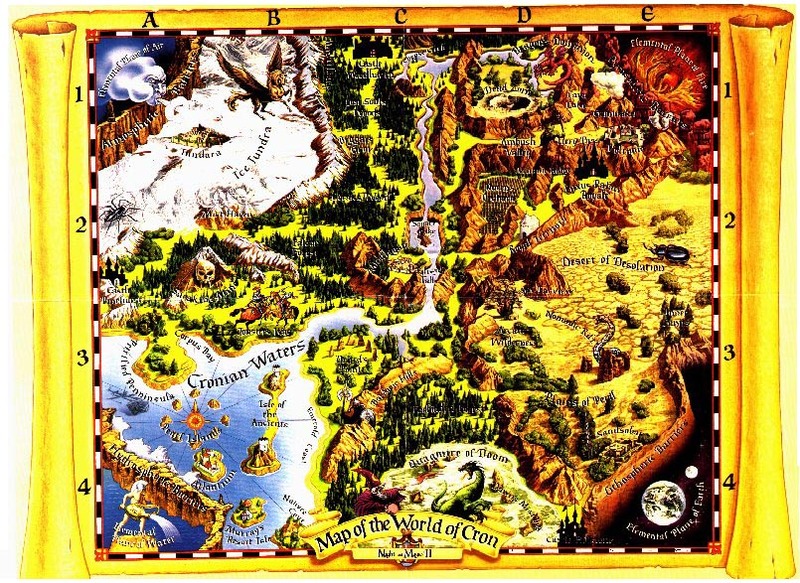 Here's a map of Cron, which came packaged with the game. Click for full size. You probably can't quite make out all the details, but again, I'll address the details as they become important. Here's the title screen, complete with jaunty music playing in the background. Do you see that thief hiding in the trees? If you stay on the title screen for long enough, he moves around. Cute. Just don't ask where his legs are. As with most RPGs of its era, you're expected to create your own party of adventurers. There is a pre-generated party you can use, and they all have very good stats, but that's no fun. 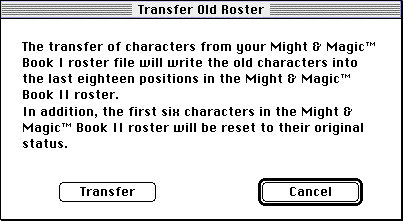 There's also an option to transfer characters from Might & Magic I. The ending of M&M1 had the party travelling from the land of Varn into another world, and evidently Cron is where they ended up. I'll be using this option now so that I have a party to use for the first update, but you can help me make more characters later. And here are all the characters we just imported into the world of Cron. 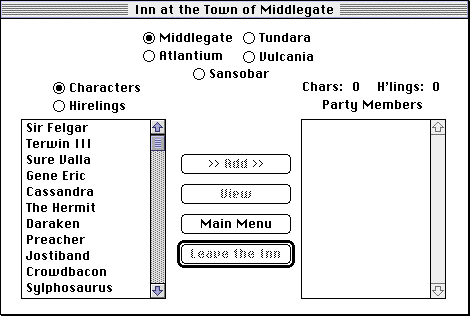 Right now we're in the Inn of Middlegate, where all new characters start out. From here, we can choose characters and hirelings to join the party: up to 6 player characters can be in the party at any time, but by adding hirelings, the party size can be increased to 8. What's a hireling, you ask? Well, I'll explain that once we actually have some to choose from. Character creation info will be coming in the next post, so that I can easily link to it at the top of the table of contents. Update 3: Can't He Just Use a Coffee Mug? Update 30: You and What Army?